USC School of Cinematic Arts graduate Ariana Delewari is a multi-media artist — a musician, director, actress and photographer, known for her critically acclaimed album, Lion of Panjshir, and documentary, We Came Home. 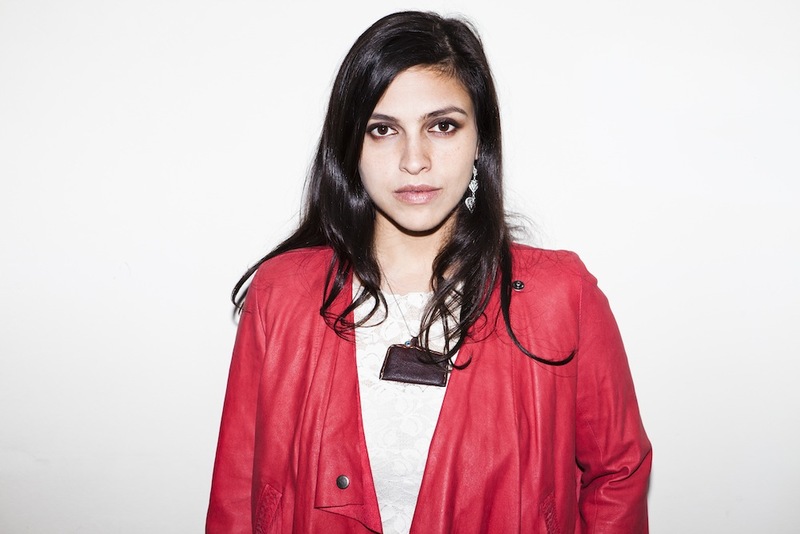 Ariana Delawari is a multi-media artist. She is a musician, director, actress, and photographer. Delawari’s critically acclaimed album Lion of Panjshir was recorded in both Kabul and Los Angeles and was partially produced and mixed by filmmaker David Lynch. A graduate of the USC School of Cinematic Arts, she just finished directing We Came Home, a documentary about her journeys to Afghanistan since 9/11, the making of her album Lion of Panjshir, and her family story. The film just won the jury prize for Best International Documentary at the Sao Paulo International Film Festival. Zohra Saed: Can you tell us what your childhood was like growing up mixed race in the U.S.? What was it like having your family active in the Afghanistan situation during the years of the Soviet Invasion? Ariana Delawari: I grew up completely immersed in both my Afghan heritage and American suburban life. We lived in a small town called La Canada about twenty minutes outside of Los Angeles. La Canada was a beautiful town—lots of trees, old Spanish haciendas, the San Gabriel mountains, the Rose Bowl just miles away. It was also extremely conservative and pretty homogenous at the time. There were very few minorities. I was raised with a lot of love and pride for my culture, but I definitely felt the smallness of this lack of diversity. I was born ten months after the Soviet invasion of Afghanistan and just twenty days after my father’s entire family fled Afghanistan and moved into our home. Dari was my first language, as my Afghan grandmother lived with us and did not speak English. We had Afghan parties every weekend with live music and dancing and delicious food. I also had two older sisters who were really into music and the burst of pop culture that was infectious in early MTV America. I remember the very first time I saw a music video. It was Madonna’s “Lucky Star” and I was mesmerized by Madonna. I would constantly dress up as Madonna and dance around the house. I’m sure this was pretty intense culture shock for my grandma, but my father’s family were so unconditionally loving there was nothing unnatural about it. Afghans are extremely adaptable people, I find. Our family was also very international, so we had a unique situation. My father’s brothers had dispersed throughout Europe and Asia for their studies, and several of them stayed in the countries where they attended university. My father studied Economics in London and ended up in Los Angeles, another brother ended up in Japan, another in France, another in Germany, another in Holland, and the rest were in LA with us. So I had cousins speaking languages from all around the world. Many of them were mixed blood as well. My mother is half Afghan, half Italian from New Jersey, and her eleven brothers and sisters had all married into different races, religions, and ethnicities so our gatherings were very, very unusual. Especially for that cul-de-sac in La Canada where we were probably one of the only minorities if not the only minority on the street. When my sisters were kids the neighbor said to my mom, “We knew there was a new family on the street when we saw the girls with the dark hair.” I didn’t really understand how different we were until I was older. I also didn’t really understand how profound my father’s work was until much later. He was an International Banker, but all of his time was going to anti-Soviet protests, radio interviews, trips to meet with Congressmen in D.C., trips to Rome to meet with King Zahir Shah. His anti-Soviet activism was so intense that he literally lost huge high profile banking jobs because his passion and time were divided. I remember thinking that he was wasting his time. While I felt sadness for our people in Afghanistan, I thought no one was listening and he was just wasting his time until 9/11. ZS: How did your identity and sense of where you fit change after 9/11? What relationships were built and which were torn under the pressures of post-9/11 experience for Afghans? How did this influence your art? Your life? AD: I was in my last year of film school on September 11th. I remember getting a call from my father. My mom was visiting my sister in New York and they both watched the planes crash into the towers. My sister’s neighbor was saying, “Who could have done this? !” And my mother answered right away: “Osama Bin Laden.” My father had written a paper called “Bin Laden’s war in Afghanistan” just one month before 9/11. He asked me to proofread it before sending it to Congress. I actually remember being really annoyed that he wanted me to. I was rushing out the door. Just a month later what he warned of in the paper happened. I definitely experienced a lot of prejudice on campus. Not toward me, as people always think I am South American. But I overheard some very racist commentary about Afghans. I would get into long conversations with strangers defending Afghanistan. I never became defensive or aggressive, as I knew how little people understood Afghanistan. As kids people could barely find the country on a map. They thought I was saying “African” when I stated my ethnicity. So I felt like I had to educate people. That first year was a whirlwind for our family. We all kept getting invited to participate in various causes toward educating people about Afghanistan. My parents moved back to Afghanistan that year to help reconstruct the country. So for our family 9/11 was a major catalyst. Actually, I think it has been the biggest catalyst in our lives so far, other than the Soviet invasion. I started traveling to Afghanistan in October 2002. I had been an artist my entire life. I started acting when I was four years old in a play called Nananwati by William Mastrosimone. It was the premiere of the play at the LA Theatre Center, and I played a child whose hand was blown off by a Soviet planted bomb. This pretty much set the stage for my art, but I was too young to realize how important that experience would be. I started playing guitar when I was thirteen years old. I was mostly drawn to protest music of all different times and places. Then I ended up in film school. On that first trip to Afghanistan, I had just come out of film school. I had a 35mm manual camera and digital video camera. I started documenting my trips, not really with the intention of making a film. I was just so inspired. I fell deeply in love with Afghanistan from the moment I first saw the mountains out of the plane window. Every day since then has been a deepening of my relationship to the land, the people, and my art through all of it. I recorded an album in Kabul in 2007 with my American band mates and three Afghan Ustads. My documentary We Came Home is a culmination of all of this: my childhood; my father’s cause; my trips to Afghanistan since 2002; and the making of my album. The music weaves all of this together. All of this has shaped me into who I am and who I am becoming. ZS: I have been following your updates on the making of We Came Home and now the film festival tour. The photos you have shared with us, your friends and fans, while on this journey are beautiful. Can you talk a little more about the film and your growth as an artist? AD: As a child growing up I was always an artist. Starting with acting when I was four. But I was always drawing, painting, writing, reading stories, telling stories, playing music, writing music, making films, taking photographs, ballet and jazz classes, singing—everything. Not just dabbling, but really working with many, many different mediums. I was always doing all of it. But 9/11 and my first trip to Kabul in 2002 really began to shape my art. I had something to talk about, something to say. This message kept evolving from photos and footage to songs to an album to music videos and finally to We Came Home, my feature debut. We Came Home is a very personal, raw documentation of my trips, my childhood, my family story through a hundred years; my father’s story and his activist work and how that also shaped me, and the music. The making of the album and the story of the Ustads who made it with me. It’s like living through my journals over my entire life, but really through this journey over the last ten years and my documentation of Afghanistan. I have also been recording new music, writing new music, and working on some other projects that I’m developing. This film is definitely both parts of me. It is definitely very Afghan and very American at the same time. It is a documentary, but I think it is very unconventional in how I used storytelling. The music, the various kinds of footage, the storytelling devices are different, I believe. I wanted it to be very, very personal since the subject matter can be so alienating and political for people who don’t know anything about Afghanistan. I wanted people to experience Afghanistan through our family. And I wanted the music to take the viewer on the journey. The film reaches every audience. I genuinely believe that. Every age, every audience. I’ve seen it in our screenings. The reactions have been incredible from everyone. I don’t want to say what I think people can learn, because I don’t want to taint the experience. I will say that many, many people tell me that they must go to Afghanistan after watching the film. Ultimately, I am a universal storyteller. I believe in unity. And love. Ariana Delawari’s documentary is on film festival tour. Delawari has generously shared stills and photographs from her documentary We Came Home. View the trailer here. This entry was posted in Interviews, Mixed Race Initiative, Uncategorized and tagged afghan-american, ariana delawari, interview, zohra saed. Bookmark the permalink.